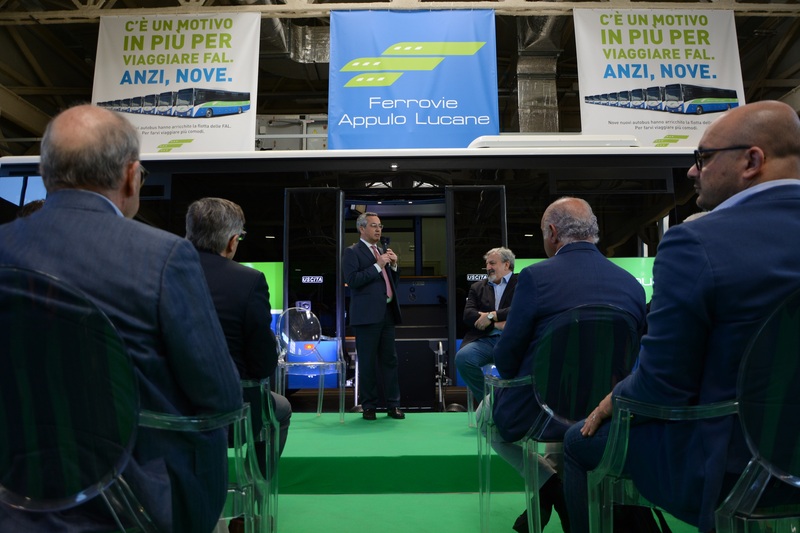 “Ferrovie Appulo Lucane is a Company managed in a honest, transparent and efficient way; it allows us to demonstrate how a public company can and must work. 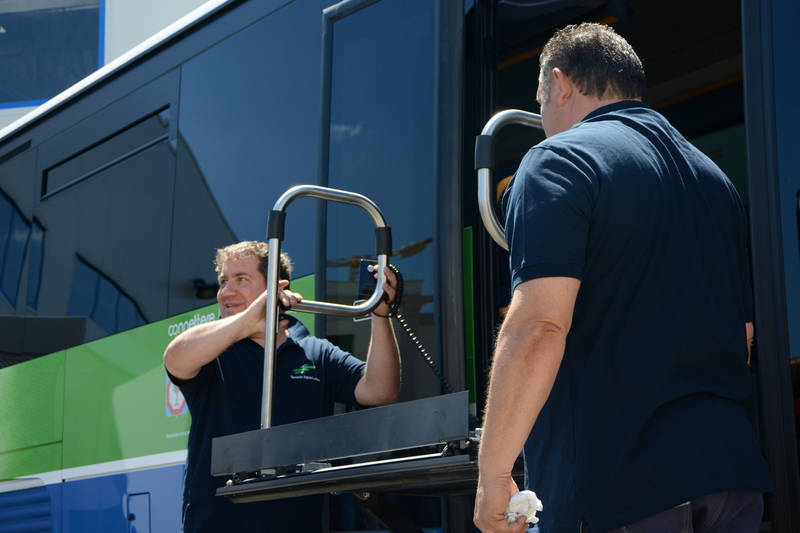 Today they introduce the new means, result of the team work that FAL and Region have done in these years. 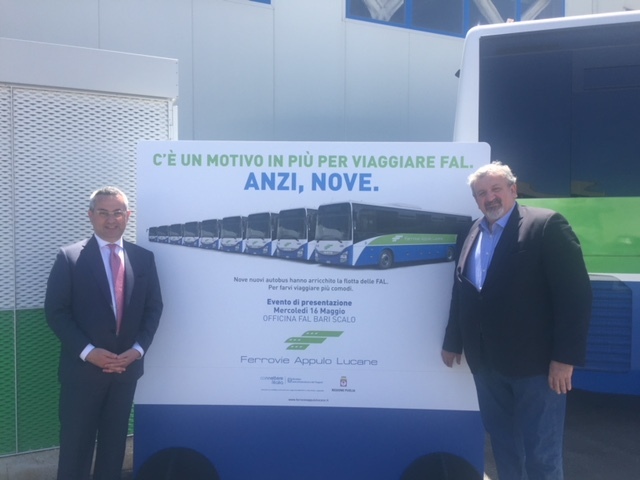 I express gratitude to President Colamussi because he has teamed up by managing a Company that has no political colours, but in team with Region looks only after the interests of Apulia.” With these words, the President of Region Puglia, Michele Emiliano, this morning has inaugurated the new FAL workshop of Bari scalo, nine new buses and three new wagons. 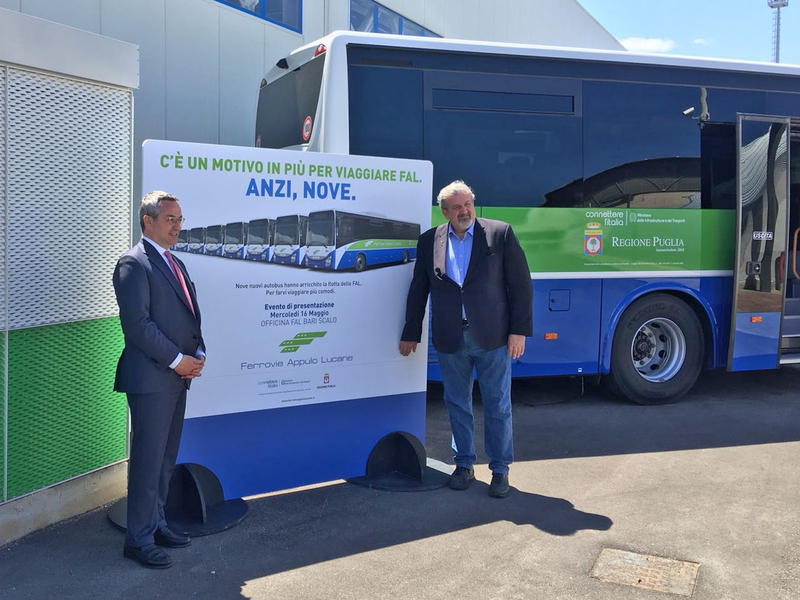 In total, about 9 million euros of investments of Community, national, regional funds, that partly derive from “Connettere l’Italia”, the strategic and policy framework of the Ministry of Infrastructures and Transports, and also from direct investments of FAL that has invested a part of the profits of the balance of the last years. 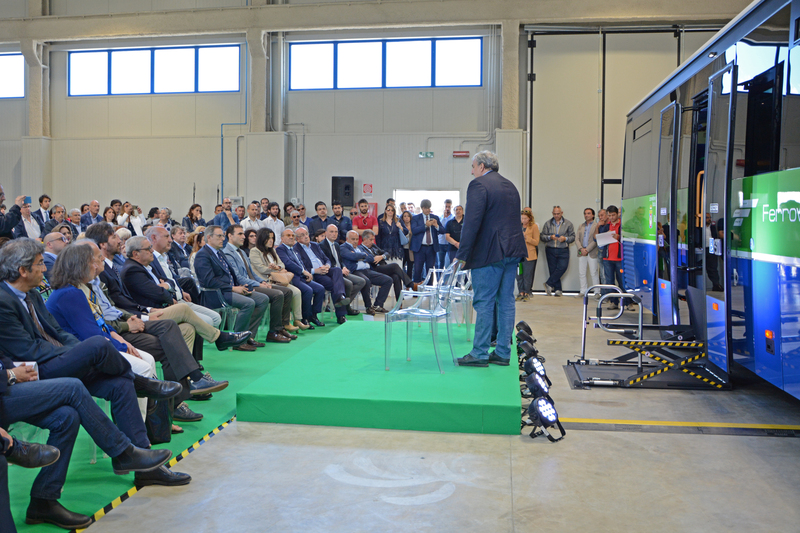 “Today – FAL President Matteo Colamussi has said – we have made another important step in the policy of renovation and change of the Company that we are leading thanks to the sensitivity of Region Puglia in investing on the Apulia TPL and that puts the user at the centre of our mission. 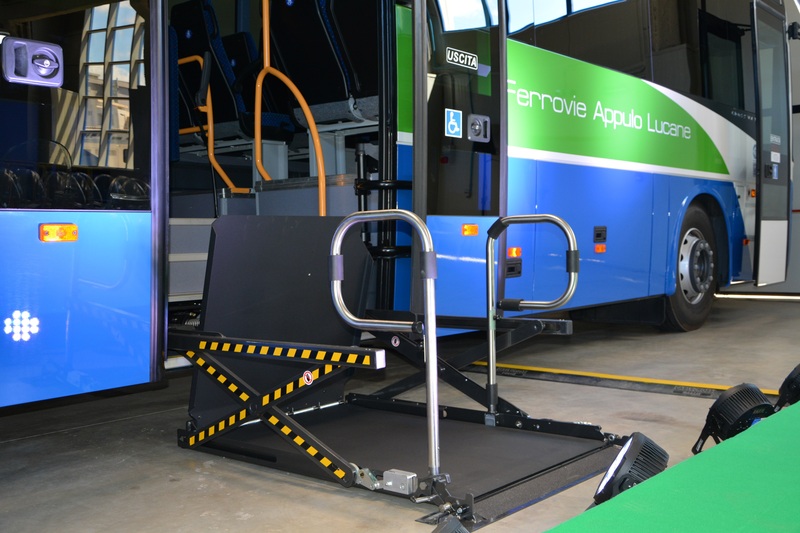 We inaugurate 9 new buses and here new wagons but also the new railway workshop. 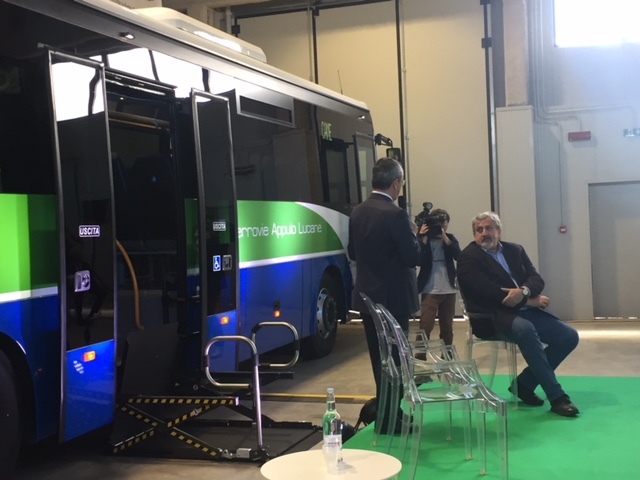 The starting-up of the new buses allows the decrease of the average age of our car fleet that in 2008 was of 23 years and today is of 8.5 years, almost in line with the European average (7 years) and lower than the national average (12 years). 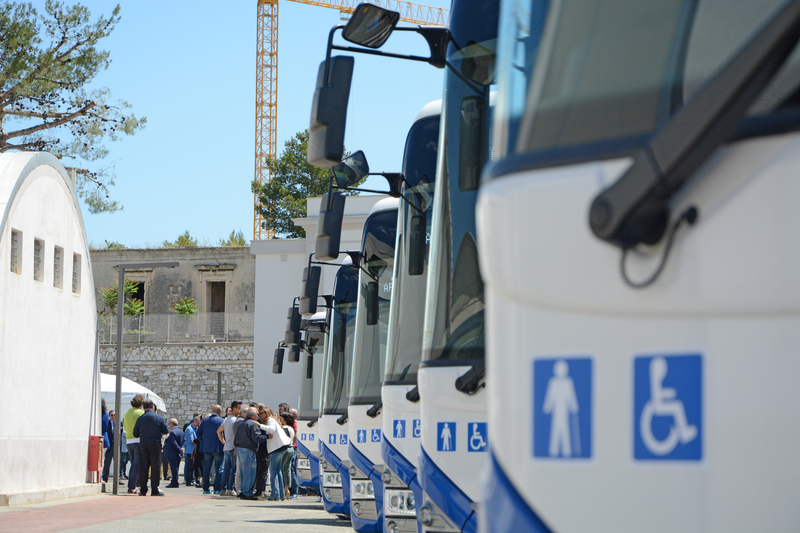 At present our bus fleet has been renovated at 73%. 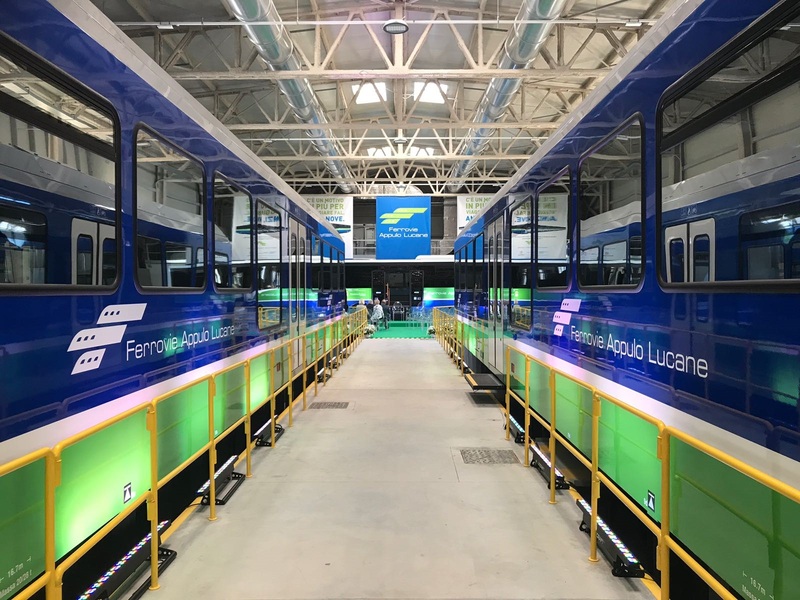 Instead, the train fleet has been renovated at 90%; in the last years FAL has purchased 19 new trains of which 8 with three wagons and 11 with two wagons and 6 additional central wagons. In 2008 the average age of trains was 20.8 years and today it is 6.4. 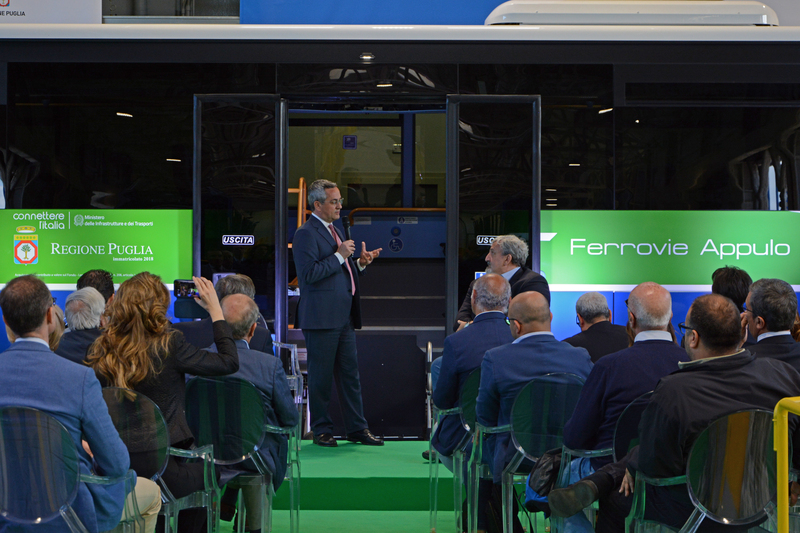 It is important also to consider the effort that the whole Company is making to improve and shorten the travel times between Bari and Matera. 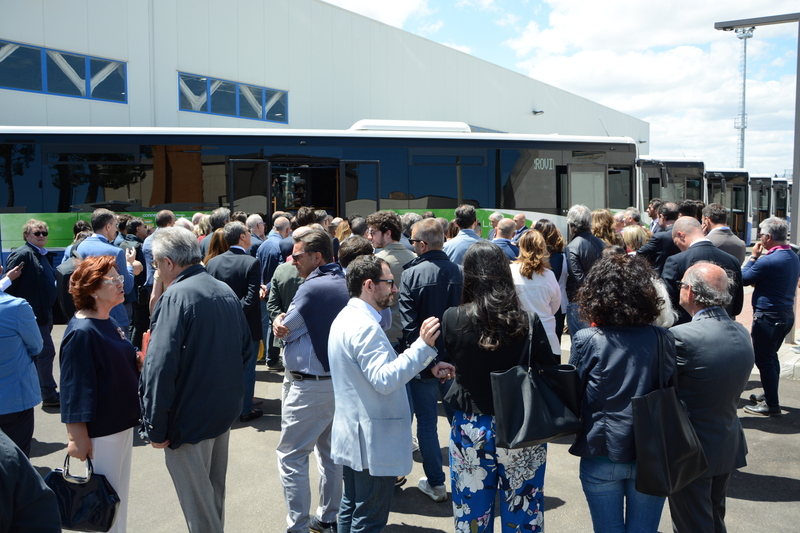 On the whole line today there are 18 yards open for which the scheduling has started, from our side, before the designation of Matera as European capital of culture. 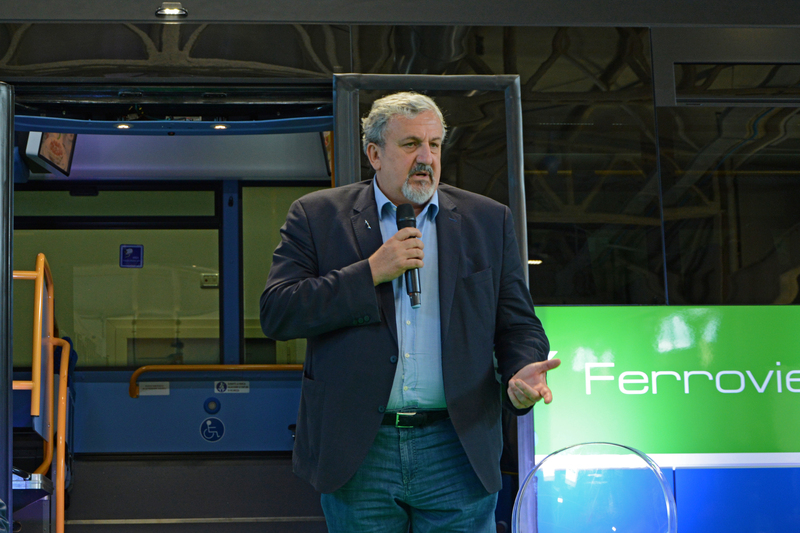 As a matter of fact, 2019 is for us a deadline; not a starting point but a further incentive to the daily engagement to win an important challenge: improve services for users more and more to demonstrate that a public Company can be efficient, healthy and competitive on the market”. 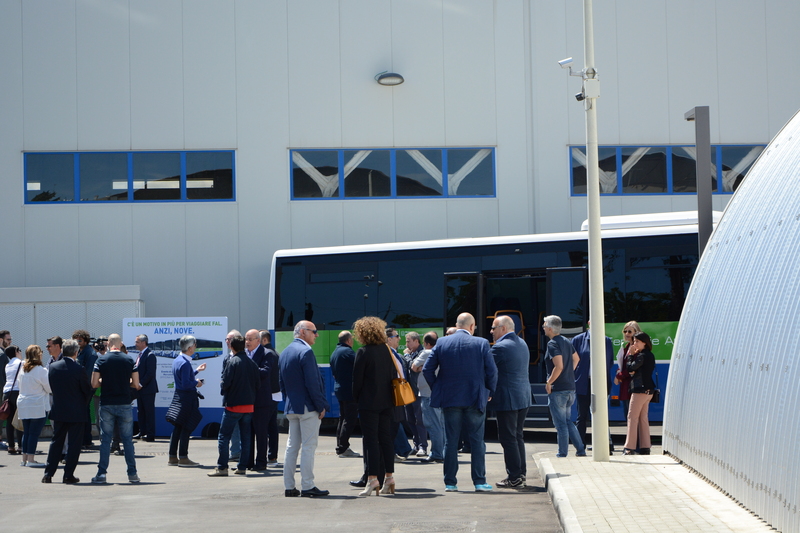 In attendance the President of the Regional Council, Mario Loizzo, the former regional councillor to Mobility, Gianni Giannini, several regional councillors, among which Antonella Laricchia and Mario Conca of Movimento 5 Stelle and Anita Maurodinoia of Pd.